The Galway Shawl tin whistle notes and sheet music. The youtube video will help you to learn this old Irish song. 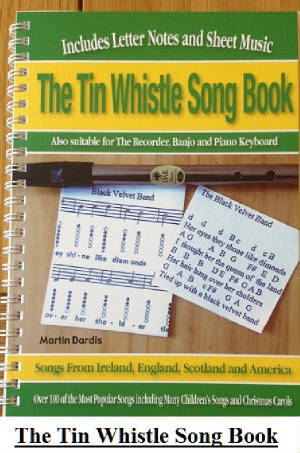 I'm using a D Whistle starting with the note of D. It's one of the many easy songs on the site. You don't even have to be able to read sheet music to play along, just follow me and play along. I have also included the banjo / mandolin tab.